The library has been a wonderful source of inspiration for me lately. I've pulled out a few books from the library shelves, checked them out, then whisked them home and 'did art', immersing myself with inspiration from the books. 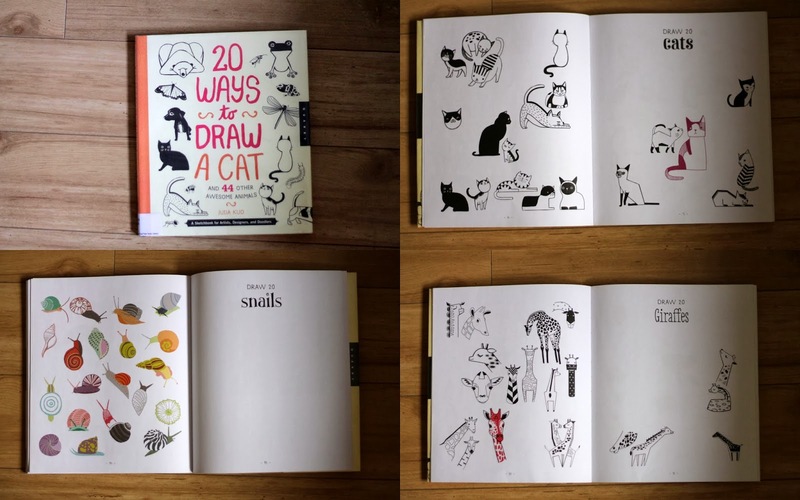 One of my favourite recent finds is a book (above) by Julia Kuo, 20 Ways to Draw a Cat + 44 other animals. Do you enjoy doodling? Thank you so much, Rachel! But just so you know, I didn't draw the inked animals. :) I drew the watercolour flats and sketched elephant; the animals in the book are Julia Kuo's work.